Alastair Smith has cycle-commuted for most of his working life in Chicago, London and New Zealand, and has ridden for recreation and exploration in numerous countries, from the Arctic Circle to Easter Island. He is a leading advocate for Cycle Aware and a trustee of the Great Harbour Way Te Aranui o Poneke, a continuous cycleway and walkway in development around Wellington Harbour. 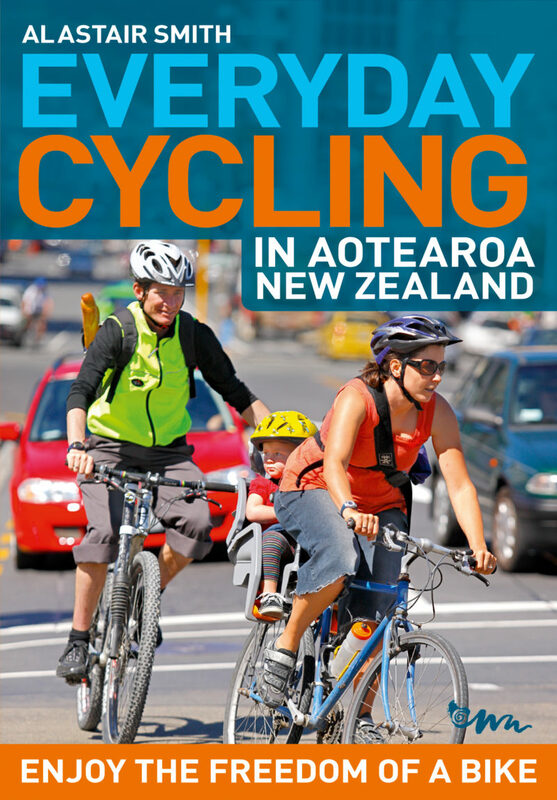 This is a very useful addition to the bookshelf of any New Zealander who rides around their town, or who is thinking about doing so. As the title page says, enjoy the freedom of a bike! This book does a good job of providing information for budding cycle commuters, ranging from how to carry gear on your bike to safety equipment and how to bike with children…Just the ticket to pop in a backpack when you’re out on a weekend ride. If you are new to cycling and need to know the basics like road rules, oil and grease, punctures and car bike racks, then this little guide book is for you. This book is ideal for first-time cyclist and also has some worthy tips for the more experienced cyclist…The content layout and colour images are clear, simple to read and very comprehensible…For such a small book, it covers just about everything you can think of for urban cycling, from selecting a bike and cycling gears through to riding skills, bicycles on public transport, basic bicycle maintenance and recommended routes in major cities throughout the country…Above all else, this book is a great gift for the person ‘who has everything’ including a bike that’s just sitting in the garage collecting dust.